PCKeeper offers two separate software utilities for everyday PC users which are designed to prevent viruses and malware from launching successful attacks. Able to integrate with Windows Security Center, PCKeeper has been around since May 2013. The first utility offers a 'live' service designed to fix dangerous threats and provide round the clock technical assistance. The second package has features such as automatic malware protection and an integrated chat function for when users need help. Malware blocking is effective in multiple tests. PCKeeper Live offers technical assistance 24/7. Speeds up PCs with slow boot-up times. Some online chat information could be improved. Does not block all phishing sites when users are online. Some lab tests have scored it low. 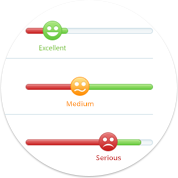 Visualises detected problems so you can see how serious a threat may be. Without any doubt, the design and feel of both PCKeeper Live and PCKeeper Antivirus are its strengths. With a layout which is simple and visual, it is ideal for both individual Windows users at home and small businesses which don't have in-house technical staff to help. The software runs very quickly and is better than several competitors at finding problems without an overly-long scanning process. Critical issues show up in red making it easy to know when action is called for. Many problems are resolved with a single click. As well as spotting problems with viruses and other forms of malware, PCKeeper comes with an anti-theft function which is downloaded on installation. With this feature, your PC's location is recorded every few minutes, making it an extremely useful tracking system that is perfect for laptop owners who travel a lot. The real-time protection and 24/7 premium support features are very good when compared to other antivirus packages. However, these only come with PCKeeper Antivirus Pro, not Lite. PC Keeper Live allows you to contact a call center, chat online or email a specialist for full technical support from a real person. There is some small print to read with PCKeeper's refund policy, but if you have not used it, then a full refund is available within a few weeks. PCKeeper Live and PC Keeper Antivirus – both Pro and Lite - are only offered with twelve-month subscriptions. PCKeeper Live is the more expensive option, but offers no less than twelve individual programs to keep your computer risk-free. Some introductory offers are available to new subscribers. Computers boot faster with PCKeeper due to its handy optimization features which remove unnecessary items from the start up process. It also uninstalls unwanted programs in a way that is simpler than doing so through Windows in many respects. Furthermore, it will remove duplicate files and directory data to help streamline your PC's operations. 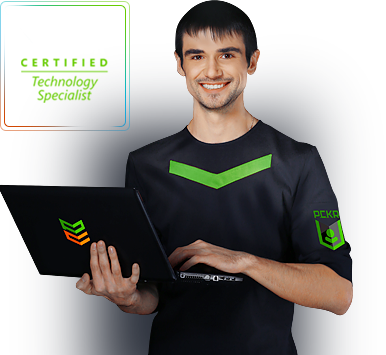 PCKeeper offers a strong PC tune up operation as well as a good antivirus protection. It therefore suits people who want both functions plus a live connection to a human who can offer instant technical support. If you only want general antivirus protection and nothing more, then consider other options.